I'll admit it, there are times that it takes me awhile to appreciate simplicity. I get caught up in the allure of new. The shiny-bright-ness of the latest and greatest kitchen wares. But most days, I stick with my old friends. The pots and pans, measuring cups and wooden spoons who have been in the family for years. 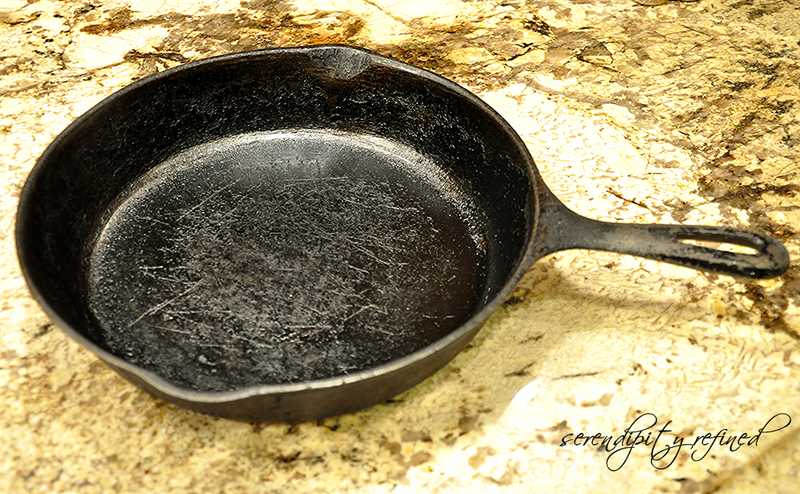 Like this skillet that belonged to my mother in law. All four foot, eleven inches and 102 pounds of her. 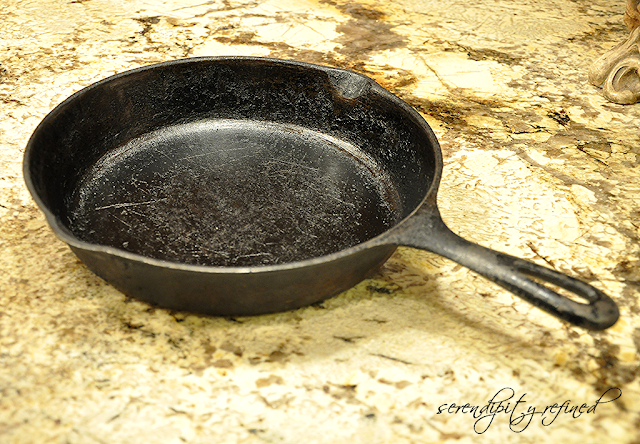 Heck this skillet weighs nearly as much as she did. You may recognize it from this photo of my French Country Omlette Recipe. See it there...all warm and bubbly? That's my contribution to the family skillet recipe collection. 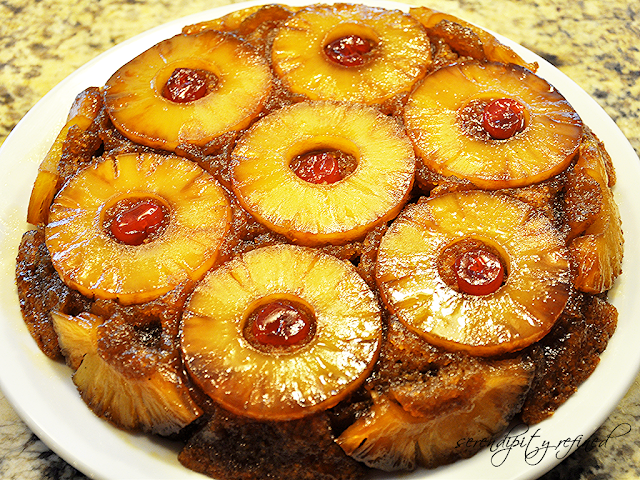 This is my Mother-In-Law's recipe, given to me by my sister-in law, that's baked in the same skillet. The recipe's basically fool proof. Trust me on this one. 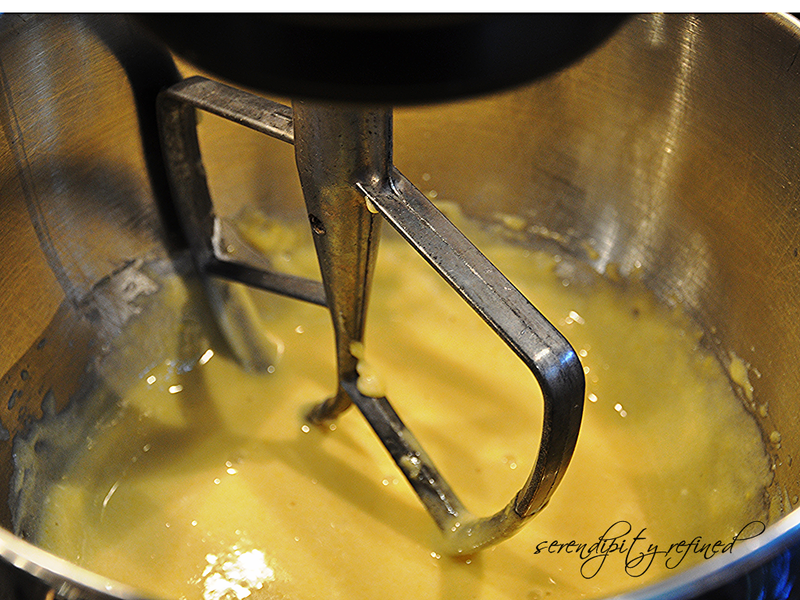 I didn't learn to cook until I was in my 30's and I ruined an entire set of pots and pans in the process. I'm not kidding. My mom bought me my current pots and pans because it said "guaranteed to be the last set of pans you'll ever own". So far, so good. and my....AHEM...my kitchen staff prefers to eat rather than to clean. Now that the days are getting shorter and the nights are getting cooler, I'm returning to simpler things. and dinners and desserts that can be put on the table in just over an hour so that we can eat while it's still light outside. 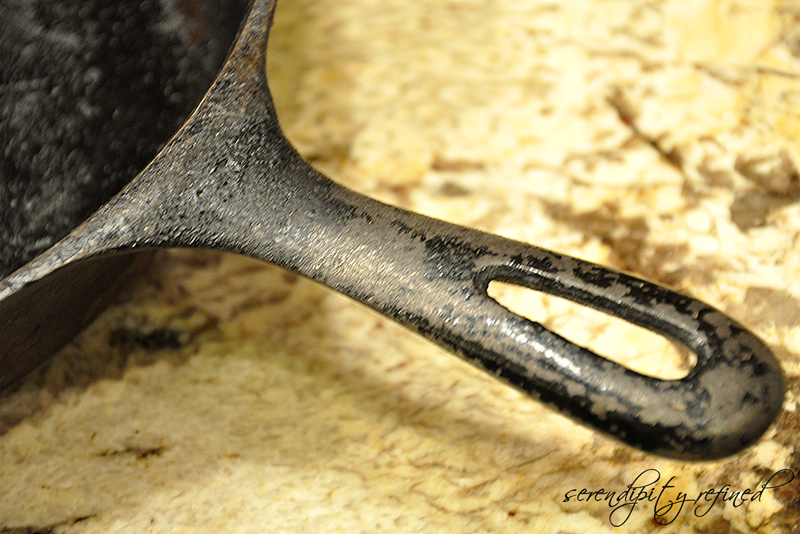 Familiar things...like my mother-in-law's cast iron skillet. 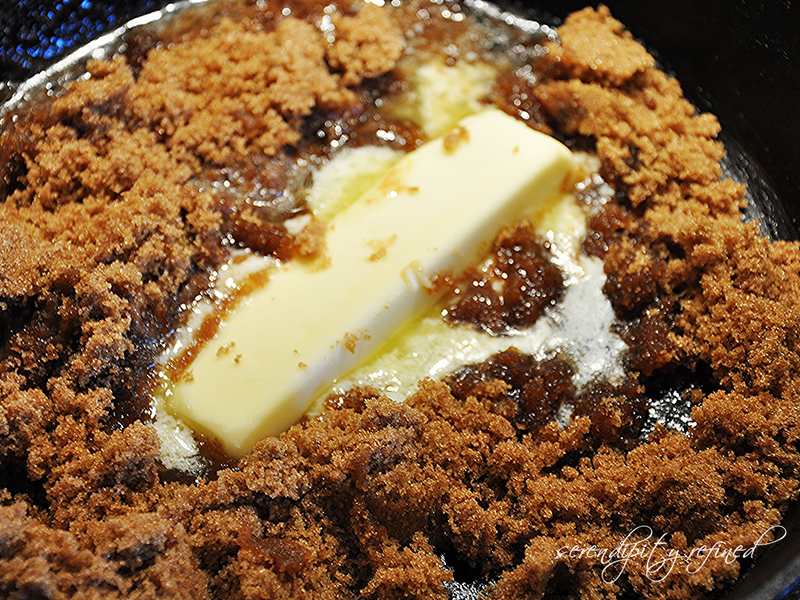 Heat butter and brown sugar in large frying pan. Drain pineapple rings and reserve juice. 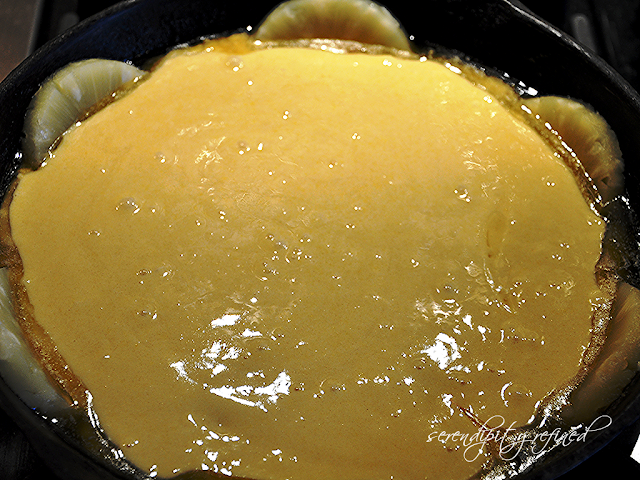 Add pineapple to skillet. 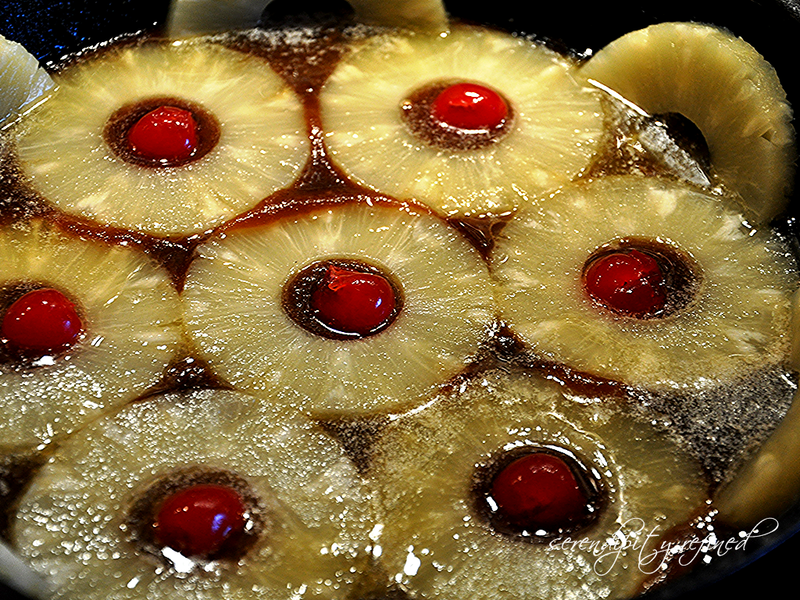 Place cherries in the center of pineapples. 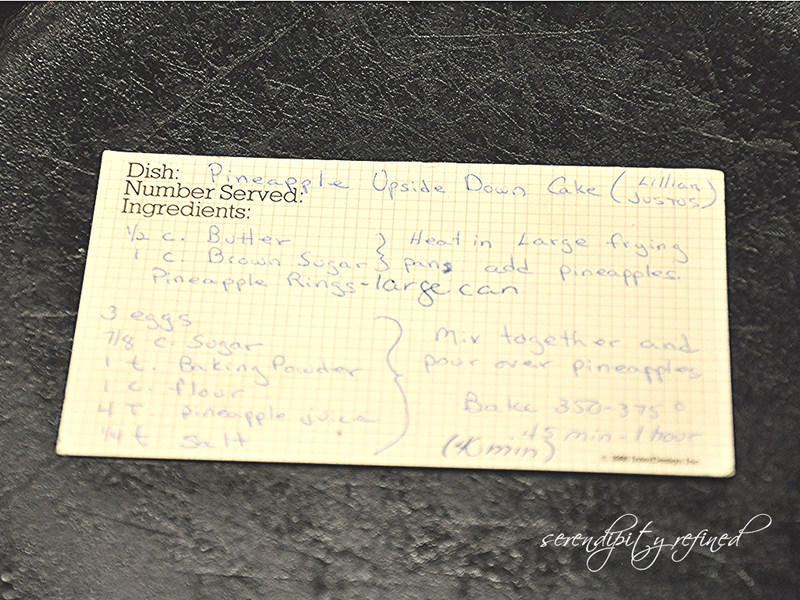 Mix together and pour over pineapples.